Perception and Action have long been considered as two separate information processes and have accordingly been investigated in relative isolation from one another. However, it is now acknowledged that perception and action are functionally related. This special issue presents original contributions from cognitive neuroscientists and cognitive neuropsychologists who address this area from different complementary perspectives. Functional imaging investigations have recently extended to the study of several cognitive processes involved in the recognition of actions or body parts. Two papers report on brain-activation experiments in healthy human subjects during the recognition of hand positions and during the perception of human actions. The visual mechanisms underlying the perception of biological movements are investigated in normal subjects, with the use of the apparent motion paradigm. Several papers deal with neuropsychological cases, with apraxic patients, with Parkinson patients, and with an agnosic patient. 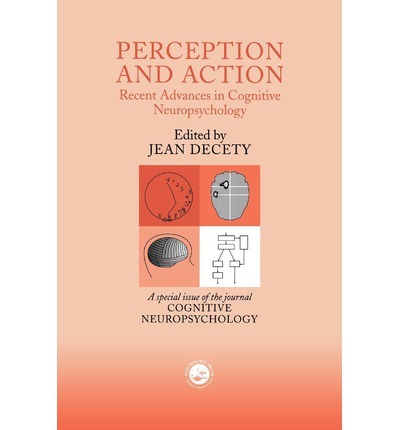 The study of perception and action is relevant to psychopathology, as attested to by the work on autistic patients. A review paper on willed action and its physiological basis is also presented.